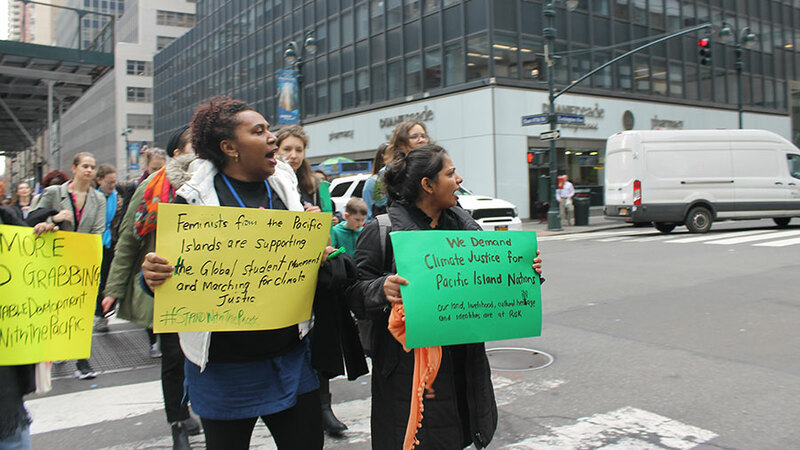 Members of the We Rise coalition march at a climate justice rally in New York City. 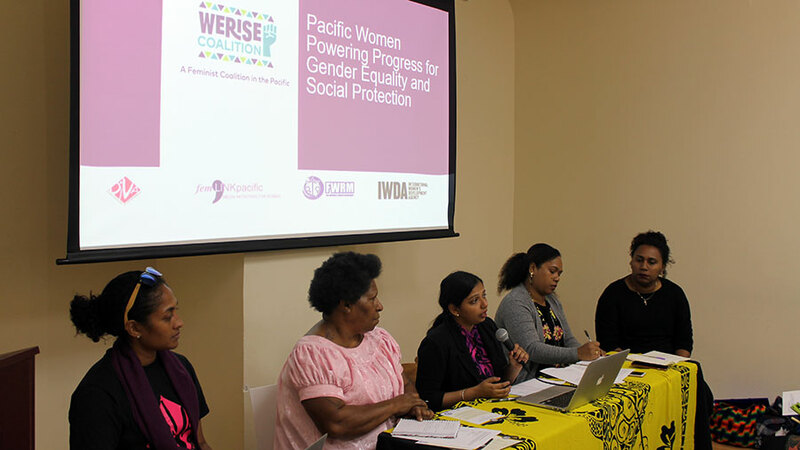 “The Agreed Conclusions have a strong focus on climate change and its impact on sustainable infrastructure, social protection and public services,” said Viva Tatawaqa, incoming political adviser at DIVA for Equality, one of IWDA’s partners in Fiji. “Around the world, every day, Women Human Rights Defenders are targeted for their defence of human and women’s rights. We stand together with Her Excellency and all the other Women Human Rights Defenders who face intimidation for the work they do to advance gender-related rights,” said Sanam Amin, program officer at the Asia Pacific Forum on Women, Law and Development. The Women’s Rights Caucus is a coalition of more than 250 feminist and women’s rights organisations from across the globe. 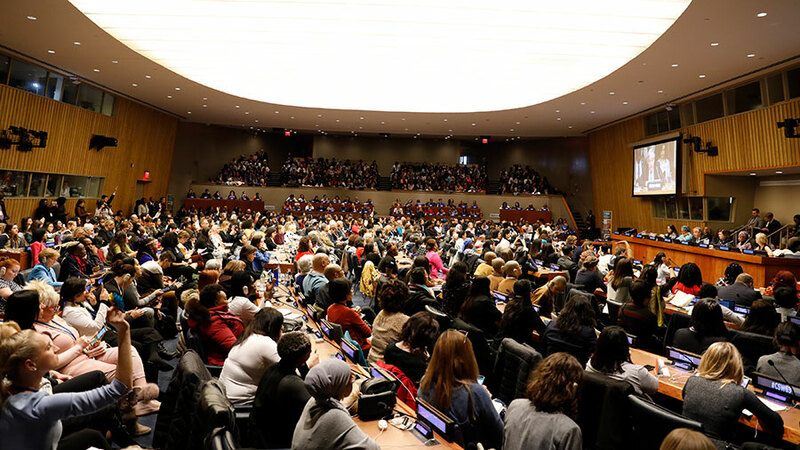 Members of the We Rise coalition speak on a panel at the 2019 UN Commission on the Status of Women.